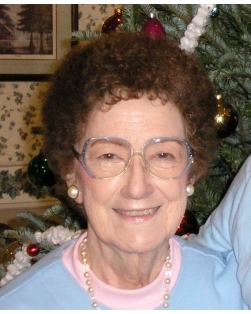 JOYCE REILLY LEWIS, age 89, entered eternal rest on Wednesday, January 30, 2019, at Christus St. Francis Cabrini Hospital, Alexandria, LA. A native of New Orleans, survivor of Katrina in St. Bernard Parish, former resident of Slaughter, LA, and most recently resided in Alexandria, LA. She was preceded in death by her beloved husband of 62 years, James Charles Lewis, her parents, Mickey Reilly and Hilda Breaux Reilly, and her brother, Francis L. “Jake” Reilly. Friends and family are invited to attend services at JACOB SCHOEN & SON, 3827 Canal St., New Orleans, LA, on Monday, February 4, 2019. Visitation will be held between 9 am – 11 am with burial immediately following at St. Patrick No. 3 cemetery. Condolences may be expressed.